At ESS Yorkshire we pride ourselves on keeping up with the times. 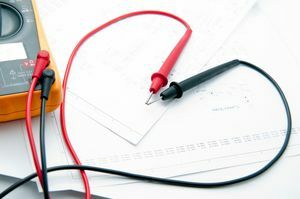 As a company with decades of experience in the industry, we’ve lived through a lot of developments in the electrical world. 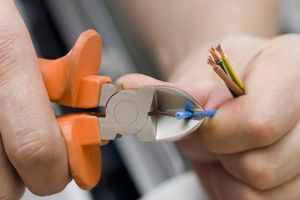 We’ve seen electrical systems transform in the domestic and commercial domains, and have had to alter our services as a result. New rules and regulations are implemented all the time, keeping us on our toes. It goes without saying that electric cars and vehicles are the new big thing in this industry right now. People are worried about their carbon footprint, and plenty of massive car manufacturers are responding by building electric vehicles. As such, it leads to a few changes in the modern home as more and more people are looking to drive electric cars and save on fuel consumption. To put it simply; an electric vehicle is any vehicle that runs on electric power. It has an electric motor that can be recharged and provide the car with the power it needs to move. Some electric vehicles are hybrids in that they also have petrol engines which kick in when the electric motor has no charge left. There are many different electric vehicles around at the moment, and they have a lot of pros and cons. Generally speaking, the pros outweigh the cons quite considerably. Electric cars save you money as you don’t have to keep paying for petrol. They also have fewer faults as an electric motor is more simple and has fewer components that can experience problems than a traditional car engine. The only real negative is that electric vehicles require charging. It’s rare that you’ll find a petrol station with a charging port, and it also takes a long time for these to charge. So, the only real solution is to try and charge the battery in your home. This is where vehicle charging units come into the equation, as they represent the best way to charge your car. Essentially, these units can be bought and installed in your home, providing you with something to connect your car to. The power from the units comes from the electric system in your home, so it will be added to your existing electricity bill each month. These units can be installed in your garage, on the wall outside your house, or in any other location that’s convenient for you. It’s important that you purchase a unit with the right amount of voltage for your vehicle. If you get one that’s too powerful, it could cause your car to short circuit. With electrical cars growing in popularity each year, it’s entirely possible that you might own one very soon. If you already own an electric vehicle, or plan on buying one, then we can help you with vehicle charging unit installation. We’ll provide advice to help you find the right unit, then install it wherever you want in your home. Feel free to contact us today if you’re interested in this service!